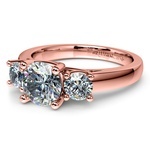 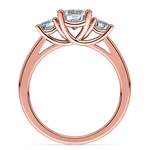 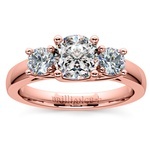 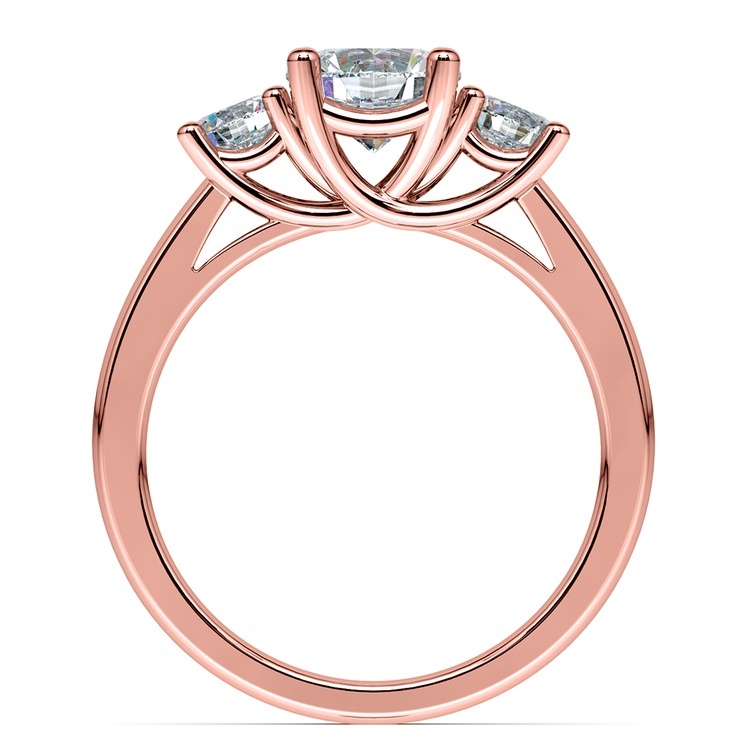 Two perfectly matched round cut diamonds are prong set in this rose gold diamond engagement ring setting, accenting your choice of center diamond. 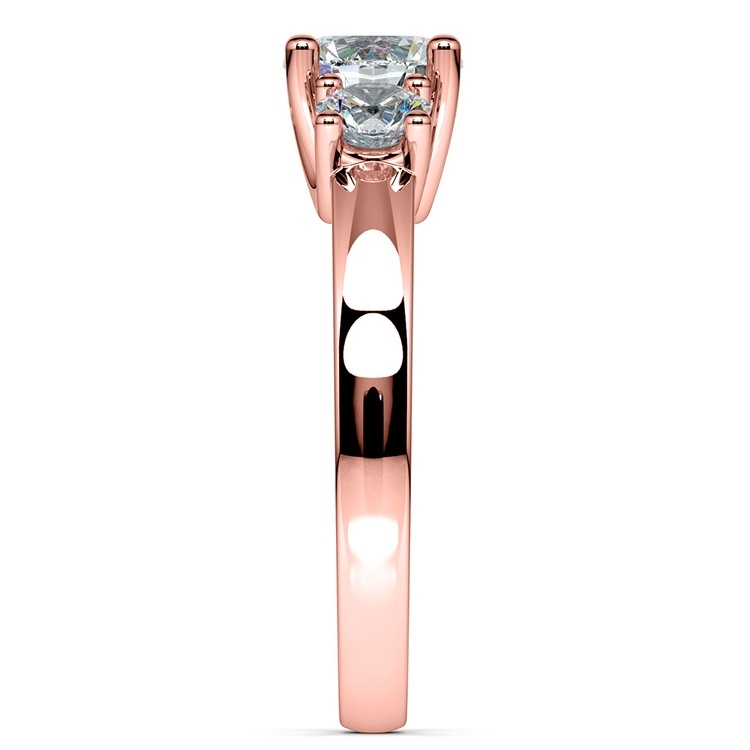 1/2 carat total diamond weight. 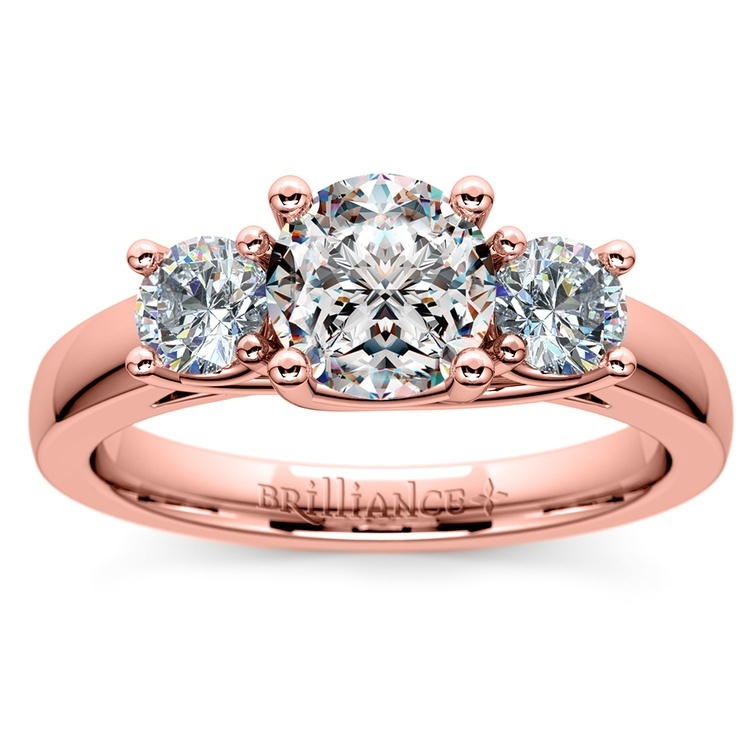 Proudly made in the USA.